BAPTISM: 19 March 1589/90 at Austerfield, co. Yorks, England, son of William and Alice (Hanson) Bradford. FIRST MARRIAGE: Dorothy May, on 10 December 1613 at Amsterdam, Holland. SECOND MARRIAGE: Alice (Carpenter) Southworth, on 14 August 1623 at Plymouth. DEATH: 9 May 1657 at Plymouth. William Bradford's 1592 edition of the Geneva Bible, currently on display at the Pilgrim Hall Museum in Plymouth. William Bradford was born in 1590 in the small farming community of Austerfield, Yorkshire. His father William died when young Bradford was just one year old. He lived with his grandfather William, until his grandfather died when he was six. His mother Alice then died when he was seven. Orphaned both from parents and grandparents, he and older sister Alice were raised by their uncle Robert Bradford. William was a sickly boy, and by the age of 12 had taken to reading the Bible, and as he began to come of age he became acquainted with the ministry of Richard Clyfton and John Smith, around which the Separatist churches of the region would eventually form about 1606. His family was not supportive of his moves, and by 1607 the Church of England were applying pressure to extinguish these religious sects. Bradford, at the age of 18, joined with the group of Separatists that fled from England in fear of persecution, arriving in Amsterdam in 1608. A year later he migrated with the rest of the church to the town of Leiden, Holland, where they remained for eleven years. Bradford returned to Amsterdam temporarily in 1613 to marry his 16-year old bride, Dorothy May. In Leiden, Bradford took up the trade of a silk weaver to make ends meet, and also was able to recover some of the estate in England that he had been left by his father, to support himself and his new wife in Leiden. They had a son, John, born about 1615-1617 in Leiden. A chair that once belonged to Governor William Bradford, now on display at the Pilgrim Hall Museum in Plymouth. 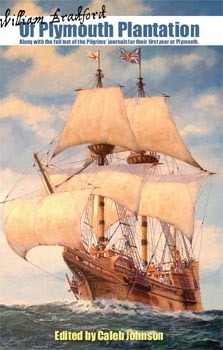 By 1620, when a segment of the church had decided to set off for America on the Mayflower, Bradford (now 30 years old) sold off his house in Leiden, and he and his wife Dorothy joined; however, they left young son John behind, presumably so he would not have to endure the hardships of colony-building. 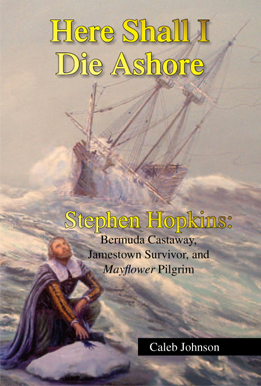 While the Mayflower was anchored off Provincetown Harbor at the tip of Cape Cod, and while many of the Pilgrim men were out exploring and looking for a place to settle, Dorothy Bradford accidentally fell overboard and drowned. John Carver was elected governor of Plymouth, and remained governor until his death a year later in April 1621. Bradford was then elected governor, and was re-elected nearly every year thereafter. In 1623, he married to the widowed Alice (Carpenter) Southworth, and had a marriage feast very reminiscent of the "First Thanksgiving," with Massasoit and a large number of Indians joining, and bringing turkeys and deer. Bradford was the head of the government of Plymouth, oversaw the courts, the colony's finances, corresponded with investors and neighbors, formulated policy with regards to foreigners, Indians, and law, and so had a very active role in the running of the entire Colony. With his second wife, he had three more children, all of whom survived to adulthood and married. Beginning in 1630, he started writing a history of the Plymouth Colony, which is now published under the title Of Plymouth Plantation. He continued writing his history of Plymouth through about 1651. 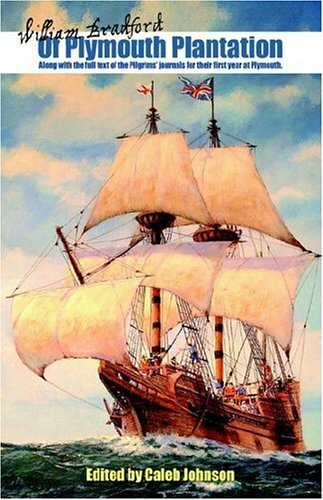 Bradford's History is one of the primary sources used by historians, and is the only thorough history of Plymouth Colony that was written by a Mayflower passenger. 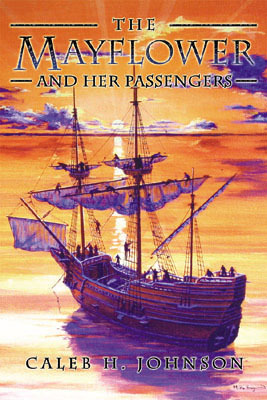 It is required reading in a number of collegiate American History courses, and an edition of it was edited by MayflowerHistory.com historian Caleb Johnson (see Amazon.com link to the right). A number of his letters, poems, conferences, and other writings of William Bradford, have also survived. William Bradford was generally sick all through the winter of 1656-1657; on May 8, Bradford predicted to his friends and family that he would die, and he did the next day, 9 May 1657, at the age of 68. A 19th century photograph of St. Helen's, Austerfield, the church where William Bradford was baptized and the church of his early youth. First page of William Bradford's handwritten history Of Plymouth Plantation. The Bradford family plot on Burial Hill in Plymouth, where William Bradford and other family members are buried. The Bradford family house in Austerfield, Yorkshire, England. St. Helena's Church, Austerfield: the parish church of the Bradford family. Dragon above the church door at St. Helena, Austerfield. The baptism font of St. Helena's, Austerfield, where William Bradford was baptized in 1589/90. The interior of St. Helena's, Austerfield, the parish church of the Bradford family.